Violence against women is often seen as a private matter, sometimes a non-existent issue, always a woman’s responsibility. According to many social norms, it rarely happens and when it does, it is your fault: the clothes you wear, the way you look, the time of the day you were up and about, the way you behave. You called it on yourself: it is you and you should know better. But it is not your fault and it is not you. In fact, violence against women is a matter of gender and power. So, if gender violence starts with discrimination and persisting inequalities between men and women, then it is difficult to deny that violence against women is a pandemic, and easy to explain why. There is not one single country in the entire world where women are equal to men, not one in 196 countries. I’m currently working in Haiti, where MSF has recently opened a clinic to offer medical and psychological support to survivors of sexual violence and abuse. Here gender violence exists within a mix of political instability, social insecurity and gender inequality. After spending a few days at the MSF clinic listening to our patients’ stories, you get the impression that women are never really safe in Haiti. Violence can happen and does happen anywhere: in the street, at the market, at home, at school, at work, at a football match; on the way home or coming from church, going to a friend’s or a relative’s house. It can be someone you know: your boyfriend, your ex-partner, your teacher, your cousin, one of your schoolmates, your aunt’s or sister’s husband, your father or stepfather. Or it can be someone you have never met before: a man offering you a drive home because it’s getting late, a burglar who enters your home searching for something to steal, a bandit or the gang chief in your neighbourhood, the driver of a mototaxi you took to get home quickly before dark, someone who yelled harassing comments which you ignored while looking for some treated water. You can truly trust no one. In little over a year the MSF Klinik Pran Men’M (which translates as ‘take my hand’) in Port-au-Prince has assisted almost 1,000 people, mainly girls and women of all ages, from one to 69 years old. A highly qualified team of local doctors, psychologists and social workers works together with local agencies and NGOs to support survivors on their path back to dignity, trust and a normal life. The consequences of sexual violence can be inconceivably devastating: dreadful injuries, chronic impairing infections such as HIV, unwanted pregnancies, social stigmatisation. That’s not to mention the invisible trauma: loss of dignity, self-esteem and trust issues. 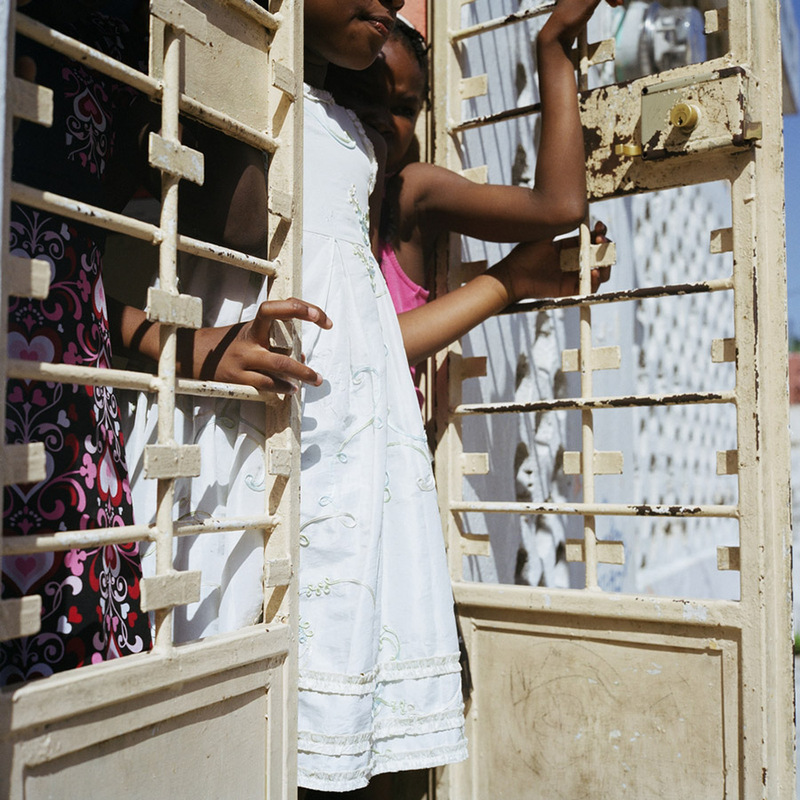 In Haiti, young girls are the ones who pay the highest price, as their futures are compromised by a sexual assault: they are at risk of being rejected by their own community, they might bear and raise a child while being a child themselves and later in life it will definitely be difficult for them to find a partner. The International Day to End Violence Against Women marks the beginning of a period of awareness and activism aiming to empower girls and women around the world, challenge gender roles and promote equality. It lasts for 16 days, until the 10th of December, the International Day of Human Rights. That was one month ago, and there is still much work to do. Although cultural changes take time, they all start with a small, simple, yet revolutionary act for women in your family and across the world. Ending violence against women starts now: support Haitian women fighting their battle for a life free from abuse, HIV and stigmatisation; enroll your daughters in maths camp; ask Santa to bring your son kitchen toys and dancing shoes. It’s up to all of us to be the change we want to see in the world.